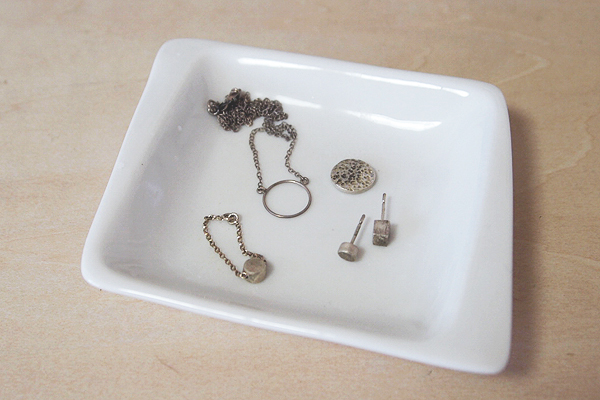 Today, I'm going to show you an easy how-to clean your sterling silver and silver jewelry. 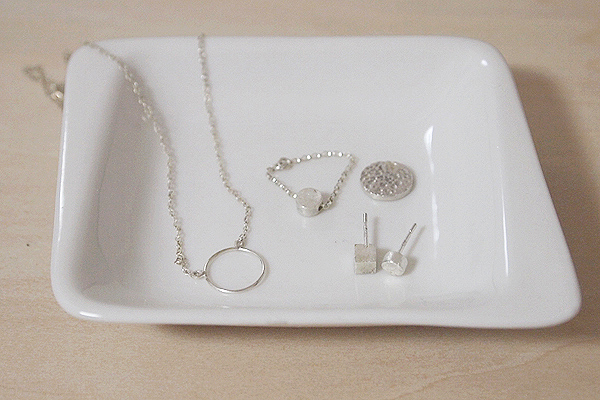 Here are some of my jewelries that are starting to oxidize. 1. 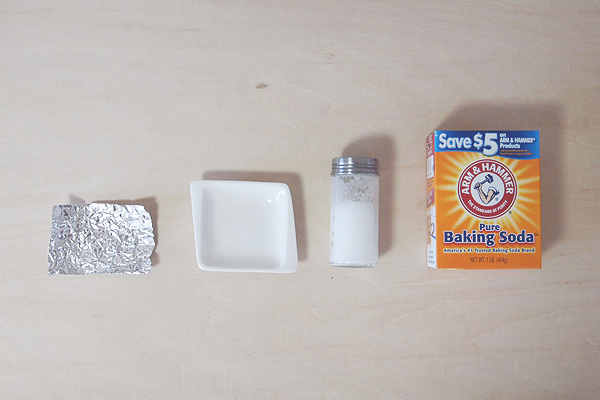 Line aluminum foil on a plate, place your jewelry over the foil. 2. 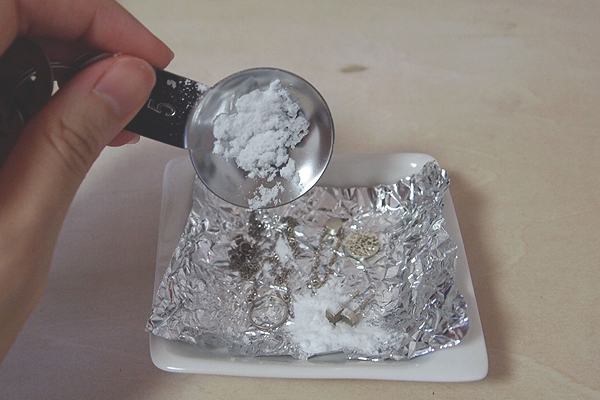 Sprinkle a good amount of baking soda and salt over the jewelry. 3. 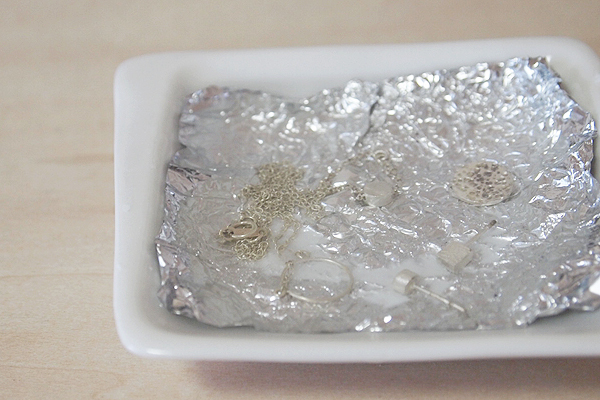 Pour hot water over the container, just enough to cover the jewelry. 4. Give it a good stir so the solution melts. You will see bubbles form, just wait for 5-10 minutes. 5. 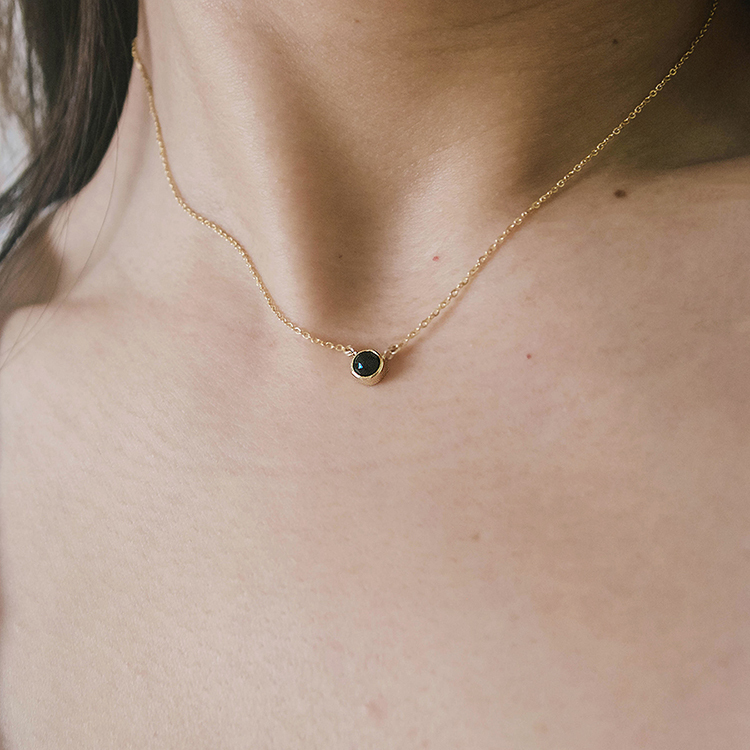 Your jewelry will be good as new! Rinse & Pat dry. Don't forget to store your silver in zip lock or a pouch. P.S. In case of stubborn oxidation, you can brush it off with a soft toothbrush and the stain will come off easily. Thank you for reading. I hope you enjoy this how-to!